Frank Whelan’s GAS Analysis Services Ltd. will sponsor the 2015 Calves Week and the event has already seventy plus entrants from Howth to Fenit booked for the start line and with International Race Officer Alan Crosbie officiating at his first Calves Week in Schull, it all promises to be a cracking week. The event will run from August 4th to 7th with an opening reception in the Fastnet Marine Centre on Monday evening. Amongst the contenders for the 2015 honours will be Conor Doyle’s ‘Freya’ and Gabby Hogan’s ‘Growler’ who both sailed recently in the Volvo Dun Laoghaire Regatta and who are currently on their way anti clockwise around Ireland to Calves Week in Schull. They are currently encountering some difficult weather conditions as they make their way on their passage. 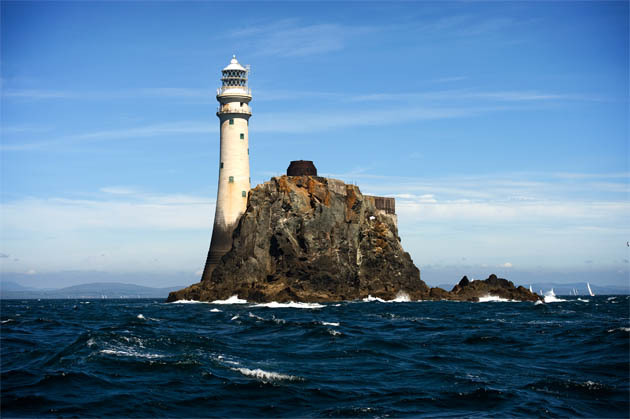 Joining them in Schull with be Rob MacConnell’s ‘Fools Gold’ from Waterford, Kinsale’s Tom Roche’s ‘Meridian’ and Paul O’Higgins’ ‘Rockabill’ will lead the Dublin charge. On July 31st a SCORA Offshore feeder race will take place from Crosshaven to Schull. Some contenders from Royal Cork YC will include the Desmond/Deasy/Ivers ‘Bad Company’, Judy McGrath’s ‘Bonanza’ with Dave Lane and Sinead Enright sailing ‘Ya Gotta Wanna and Cove Sailing Club Commodore, Adrian Tyler, will be sailing his Impala ‘White Knight’ in competition with that of Judy McGrath. Hiding and lying in wait behind the many islands in Roaring Water Bay will be the large local fleet led by SHSC Peter Morehead in ‘Giggles” and including John Molloy in ‘Manzanita who will be ready to take on all visiting yachts and be sure the usual outstanding week of sailing, fun and festivities will be enjoyed by all who have the good luck to attend this annual excellent sailing event which never fails to attract excellent sailing numbers.